Written by Jessa Wilcoxen. Digital Media by Jessica Sturgeon. 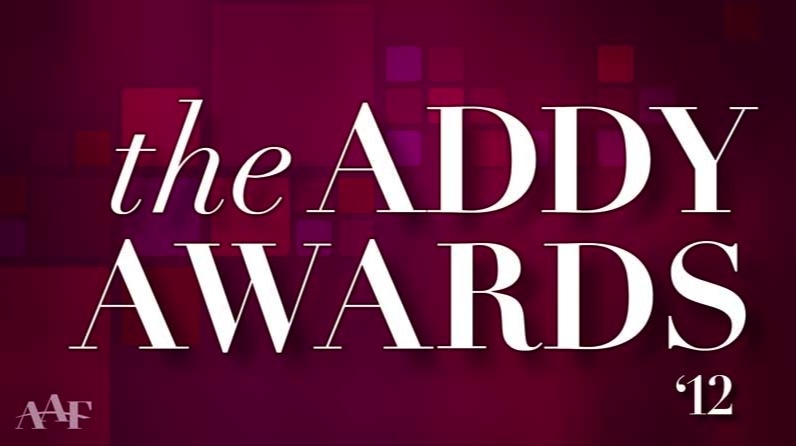 East Peoria on February 15, 2013 to accept awards at the ADDY Gala. 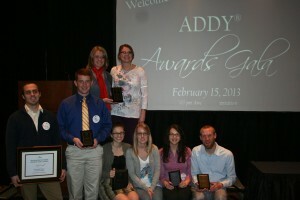 Greenville College won five ADDY awards including one Best of Show, two Gold, and three Silver. This is the third year Greenville College students entered in the competition. The Peoria Advertising Club hosted the local division of the American Advertising Association ADDY awards. The Gold and Best of Show winners will automatically advance to the Regional competition, which is between Illinois, Indiana, and Michigan students. The Vista Magazine (Amanda Richardson, Logan Shaw, Jessica Bolin, Alex Brandt, Kristin Minshall, Andrew Schreiber, and Joe Kam. ), Vista Logo (Logan Shaw), and Sustainable Project Animation (Arley Cornell) will go on to compete in Regionals in March. Great job GCDM! For more information, and to see some of the winning projects, click here.